February is almost over and I’m just now sitting down to write my reading list for 2019. As I’ve been going through my physical book shelves and stacks and my ever growing TBR on Goodreads, I decided that there if I just start writing down all the books I want to read, the list will just go on and on and with no end in sight. I need to be a bit more intentional and about this. My goal this year is to read 50 books. 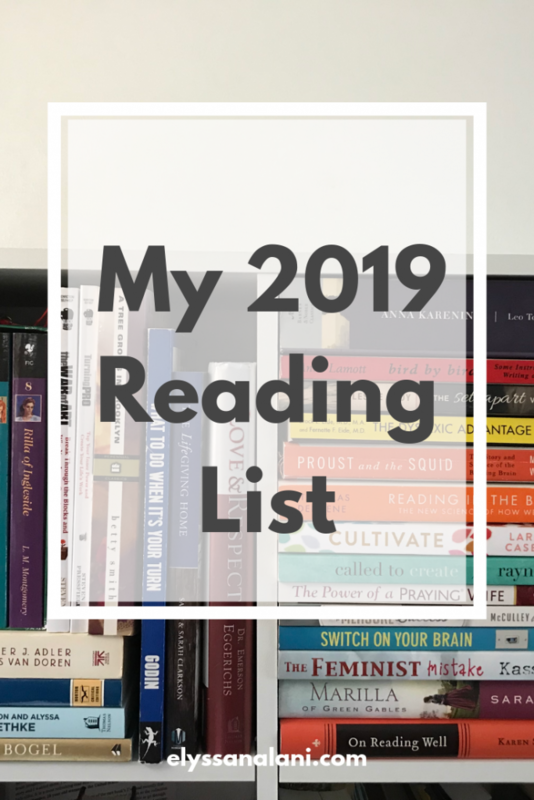 Considering the fact that I have physical titles I need to power through, a very healthy TBR, and books yet to be released or discovered, I’ve decided to carefully chose 35 titles for this list. These are books that I will make a point to pick up, leaving room for 15 discoveries and recommendations. Best case scenario, I surpass my goal and read more than 50 but for now, let’s just set up for success. Oh, there are a few re-reads for my Classics Club List. Oh and this doesn’t include all the spiritual growth & Bible study books I want to get in this year too. Oh, and some of these are books I’ve started at some point ages ago and never finished. It is super hard for a book girl to chose only 35 but here we go! The Dyslexic Advantage: Unlocking the Hidden Potential of the Dyslexic Brain//Brock L. Eide M.D. M.A. & Fernette F. Eide M.D. What is on your reading list this this year? Anything you think I need to add to my TBR?